Potential defects as a result of the stress (hardness stress) occurring during hardening if the steel has been heated too much, improperly cooled or insufficiently or too late tempered (fig. 1). This may lead to cracks during and after cooling. 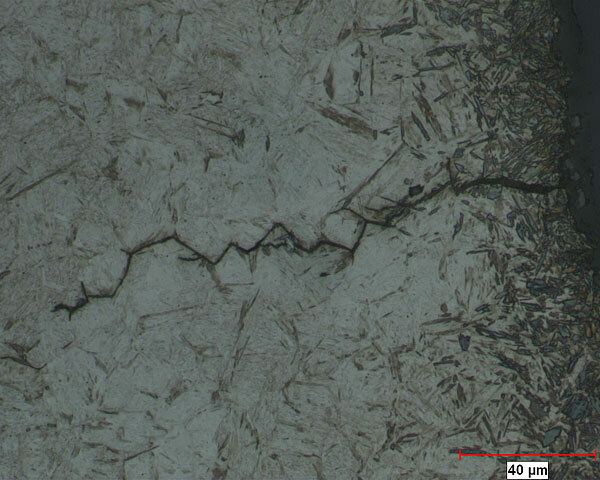 Capillary cracks are characterized by mostly dark fracture areas and often run in a straight, vertical line to the surface with internal crystalline branching.